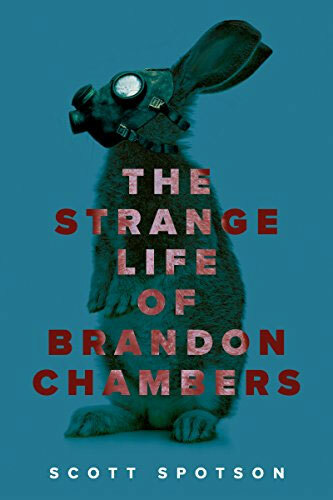 The Strange Life of Brandon Chambers is part thriller, part coming of age tale, and part supernatural mystery. The novel chronicles the life of Brandon Chambers from the age of eleven to fully functional adulthood after his military parents are killed in a horrific and scandalous bioweapons incident. The novel's structure is interesting, because it does follow a young man through multiple stages of his life at a nice pace. There are moments when he looks back on his youth and reflects on it in a way that is familiar to any young adult. The weirdness of people, even ones you love, is something that gets noted a lot and I find it to be a realistic touch. The elements of the supernatural conspiracy are peppered throughout just enough to intrigue you, but they seem to be in the background, somehow, haunting out protagonist's life at all time. Sometimes the convolutions of growing up do drag a bit. The vignettes of Brandon Chambers' childhood are usually well chosen, however. There is a romance that gets lengthened and elaborated on a bit more than its payoff might warrant, but it does help to remember the coming-of-age elements of the novel and this did play a part in that. The ending might seem to come out of nowhere, but there have been sufficient hints of it if you have been paying attention. There is a lot of slightly disturbing things in the first half of the novel, to include child abuse and drug use. Brandon Chambers slips into hedonism to deal with his tragedies for a time, but it is really amazing to see how a family's compassion can help someone out of the depths. There are numerous dark elements in the plot. While the story starts out being about a ten year old child, it is not a children's book. If you want an interesting book that blends genres, this is a good read for you. It blends elements of conspiracy with a very believable chronicle of a life. The emotions ring true and the feeling of being a young adult is very well captured. "Brandon walked home as slowly as possible. Along the way, tears trickled down his cheeks. He grabbed a knotty oak branch that was lying on the ground, tearing off twigs on the sides to convert it into a stick. Full of anger, he swatted away at the mailboxes on the way home, imagining each to be Derek's face." Scott Spotson is a Canadian novelist who excels in imagining scenes of intrigue and adventure within ordinary lives while daydreaming, then pulls together various plots to create a compelling story. 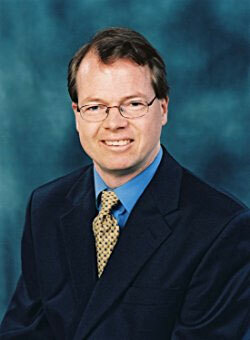 He has written eleven books in the speculative fiction, urban fantasy, and science fiction genres.